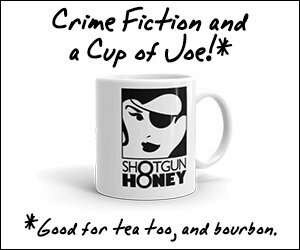 He swallows the remainder of his coffee, crushes the cup, pushes back from the table and heads her way. She’s by the biographies, on the verge of copping Obama’s The Audacity of Hope. “Lynch,” he says, extending a hand. “Briar,” she replies, taking it. Something flashes and then goes dark in Briar’s eyes and Lynch knows somehow he’s fucked up. That realization makes his stomach cramp in a way constant hunger has never managed. That earns him a smile and a second chance. Possible sentences of three, six, or eleven years. The judge in Lynch’s case had thrown in for six, four and a half of which Lynch served. He clears his throat but doesn’t try to speak. Eyes like a voodoo priestess. Briar’s place is pretty much what he expected. Artwork on the walls, white leather furniture, bookshelves swollen with hardcovers. Her bedroom is neat when they enter it, but a mess within minutes. A lamp is turned on its side like a chess piece. The bedspread lies in a pile on the carpet with his shirt and pants. He didn’t consider draping any of it on the chair in the bedroom. He’s sweaty and breathing like an asthmatic when the door blows open as if pushed by a strong wind. Briar grips his waist so it’s difficult to turn, but he manages to pull free. The guy in the doorway is jacketless. The tail of his dress shirt is untucked and his tie is loose. His nostrils flare. But all Lynch sees is the gun in his right hand. Clinton Greaves has traditionally published eight novels with both Simon & Schuster and Harlequin under his government name. An unabashed lover of crime fiction, he has taken on the pseudonym “Clinton Greaves” for his efforts in the genre (and no, he isn’t JK Rowling, unless of course the idea that he might be inspires you to go out and purchase his upcoming fiction). 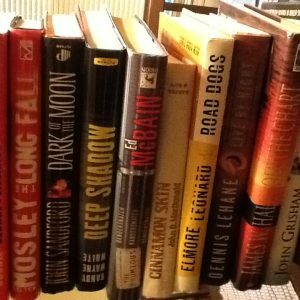 In addition to writing, Greaves tweets often and manages a blog where he provides crime fiction book recommendations and has interviewed the authors Owen Laukkanen, Paul Doiron, Samuel W. Gailey, and Neely Tucker. More author interviews are planned in the future. Clinton loves to connect with equally enamored crime fiction enthusiasts. His blog address is: www.clintongreaves.blogspot.com; his Twitter handle is: @clintongreaves; and his email address is: Clintongreaves@gmail.com. Catchy, right?